from MALANG with LOVE: How Can Twitter Improve Your SEO? When doing your Twitter SEO strategies, remember that all your tweets shouldn't be about your website and content. This is bad for your website promotion and would turn people off. No one wants to follow a conceited, I'm-so-great prima donna. Besides, if your tweets would be all about your products and services, they would look spammy. Post engaging and useful information, answer and ask questions, tweet interesting facts, and send messages that your followers will find valuable. This is another Twitter SEO tactic that'll help boost your followers and improve your brand reputation. The major search engines all include Twitter account pages on their SERPs. Here are website promotion tips on how to get your profile on the front page of search engine results. Optimizing your tweets also helps in website promotion. Your tweets help your profile, content and brand gain more exposure. A tweet's title tag is made up of the username of the account sending out the tweet and the first 30 characters. Another Twitter SEO tip is to place the keywords in the post's first few words. 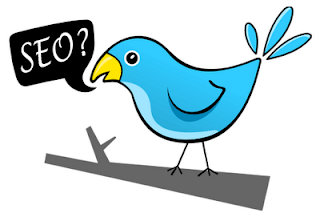 Twitter SEO tactics can be easy to implement. This social media website has a lot of potential for search engine optimization. Explore its website promotion benefits, discover new website promotion methods, and run experiments.